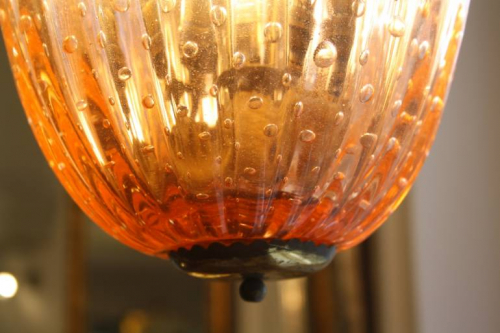 A fluted and shaped Venetian glass ceiling light with bubble design and slight swirls of gold in the lightly pink coloured glass. Italian 1950. Glass shade is 32cm in length and can be hung at any height. Rewired for UK use.